Newcastle United lost their last 3 home games in Premier League. Chelsea scored in last 4 away games in Premier League. Crystal Palace won their last 5 away games in Premier League. Watford scored in last 8 games in Premier League. Watford scored in last 14 home games in Premier League. Crystal Palace scored in last 15 away games in Premier League. Crystal Palace scored over 1.5 goals in last 7 away games in Premier League. Valencia scored in last 3 away games in La Liga. Espanyol allowed opponents to score over 1.5 goals in last 5 games in La Liga. Espanyol allowed opponents to score over 1.5 goals in last 5 home games in La Liga. Sevilla won their last 4 home games in La Liga. Villarreal scored in last 4 games in La Liga. Sevilla scored in last 8 games in La Liga. Sevilla scored in last 5 home games in La Liga. Real Madrid scored in last 4 games in La Liga. 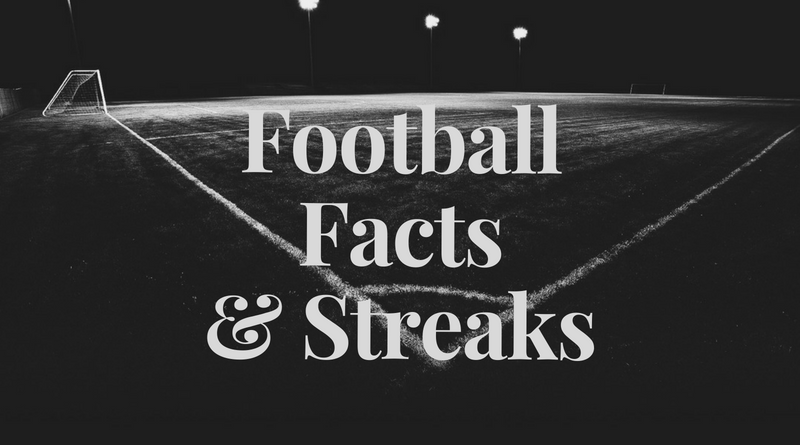 Inter allowed opponents to score over 1.5 goals in last 4 games in Serie A.
Fiorentina has under 2.5 goals in their last 3 home games in Serie A.
Udinese has over 2.5 goals in their last 3 games in Serie A.
Torino has over 2.5 goals in their last 3 away games in Serie A.
Udinese scored in last 4 home games in Serie A.
Sampdoria scored in last 7 games in Serie A.
Sampdoria scored in last 4 away games in Serie A.
Inter has over 2.5 goals in their last 3 home games in Serie A.
Inter has under 2.5 goals in their last 4 games in Serie A.
Torino scored in last 3 away games in Serie A.
Fiorentina didn’t score in last 3 home games in Serie A.
Fiorentina allowed opponents to score over 1.5 goals in last 4 home games in Serie A.
Fluminense has under 2.5 goals in their last 3 games in Serie A (Brazil). Sao Paulo FC won their last 9 home games in Serie A (Brazil). Cruzeiro scored in last 4 games in Serie A (Brazil). Ceara has under 2.5 goals in their last 8 games in Serie A (Brazil). Fluminense has under 2.5 goals in their last 3 away games in Serie A (Brazil). Cruzeiro scored in last 3 home games in Serie A (Brazil). Fluminense allowed opponents to score over 1.5 goals in last 6 away games in Serie A (Brazil). Sport Recife lost their last 5 away games in Serie A (Brazil). Sport Recife lost their last 6 games in Serie A (Brazil). Ceara has under 2.5 goals in their last 4 away games in Serie A (Brazil). Sao Paulo FC scored in last 15 games in Serie A (Brazil). Sao Paulo FC scored in last 9 home games in Serie A (Brazil). Horsens lost their last 3 away games in Superligaen. Odense lost their last 4 away games in Superligaen. Nordsjalland scored in last 28 home games in Superligaen. Horsens didn’t score in last 3 away games in Superligaen. Horsens didn’t score in last 4 games in Superligaen. Vejle has under 2.5 goals in their last 3 games in Superligaen. Odense scored in last 3 games in Superligaen. Millwall has over 2.5 goals in their last 4 games in Championship. Millwall scored in last 4 games in Championship. AZ Alkmaar scored over 1.5 goals in last 3 games in Eredivisie. AZ Alkmaar has over 2.5 goals in their last 3 games in Eredivisie. Heerenveen scored in last 7 home games in Eredivisie. AZ Alkmaar scored in last 3 games in Eredivisie. Heerenveen scored in last 11 games in Eredivisie. AZ Alkmaar scored in last 8 home games in Eredivisie. AZ Alkmaar scored over 1.5 goals in last 4 home games in Eredivisie. Brann scored in last 8 away games in Eliteserien. Molde scored in last 15 home games in Eliteserien. Molde has over 2.5 goals in their last 4 games in Eliteserien. Valerenga allowed opponents to score over 1.5 goals in last 3 games in Eliteserien. Molde has over 2.5 goals in their last 7 home games in Eliteserien. Brann scored in last 5 games in Eliteserien. Molde won their last 7 home games in Eliteserien. Molde scored in last 4 games in Eliteserien. Hamilton Academical has over 2.5 goals in their last 3 games in Premiership. Celtic scored in last 3 games in Premiership. Hamilton Academical won their last 3 away games in Premiership. Hamilton Academical scored in last 3 away games in Premiership. Celtic scored in last 6 home games in Premiership. Toronto has over 2.5 goals in their last 4 games in MLS. Sporting Kansas City has over 2.5 goals in their last 4 home games in MLS. Toronto scored in last 14 games in MLS. Toronto scored in last 6 home games in MLS. Sporting Kansas City scored in last 6 home games in MLS. Toronto has over 2.5 goals in their last 3 home games in MLS. Toronto scored over 1.5 goals in last 6 home games in MLS. Sirius has over 2.5 goals in their last 5 games in Allsvenskan. Hacken allowed opponents to score over 1.5 goals in last 3 home games in Allsvenskan. Sirius scored in last 6 games in Allsvenskan. Hacken scored in last 5 games in Allsvenskan. Sirius won their last 4 away games in Allsvenskan. Hacken scored in last 23 home games in Allsvenskan. Hacken scored over 1.5 goals in last 3 games in Allsvenskan. Sirius has over 2.5 goals in their last 3 away games in Allsvenskan. Sirius scored in last 4 away games in Allsvenskan.